Run off to Grand Rapids on a humorous adventure filled with interesting characters, all leading to a place to call home. Pose questions that will initiate great conversation and discussion in any classroom. Discuss the concept of perseverance, and determine why it is an important quality to have. Match characters to their statements. Determine the purpose of the author's intentional use of spelling mistakes in the novel. Match vocabulary words to their definitions before using them in a sentence. Students create their own family tree to compare with Bud's. Aligned to your State Standards, additional crossword, word search, comprehension quiz and answer key are also included. A touching and humorous story about a ten-year-old boy on the run. Foster child Bud Caldwell leaves Flint, Michigan during the height of the Great Depression in 1936. When Bud eventually arrives in Grand Rapids, he meets Herman Calloway and all the members of the band who welcome him into their lives. As the story comes to a close, we learn that Calloway is Bud's grandfather, and Bud at last has a place to call "home". A captivating story told in Bud's point of view, this novel is an excellent read aloud. The historical setting, intriguing cast of characters and themes of racial and societal prejudice, all provide excellent opportunities for teaching, learning and discussion. See all of the Classroom Complete Press products we carry in our educational supplies manufacturer section. Looking for something similar? 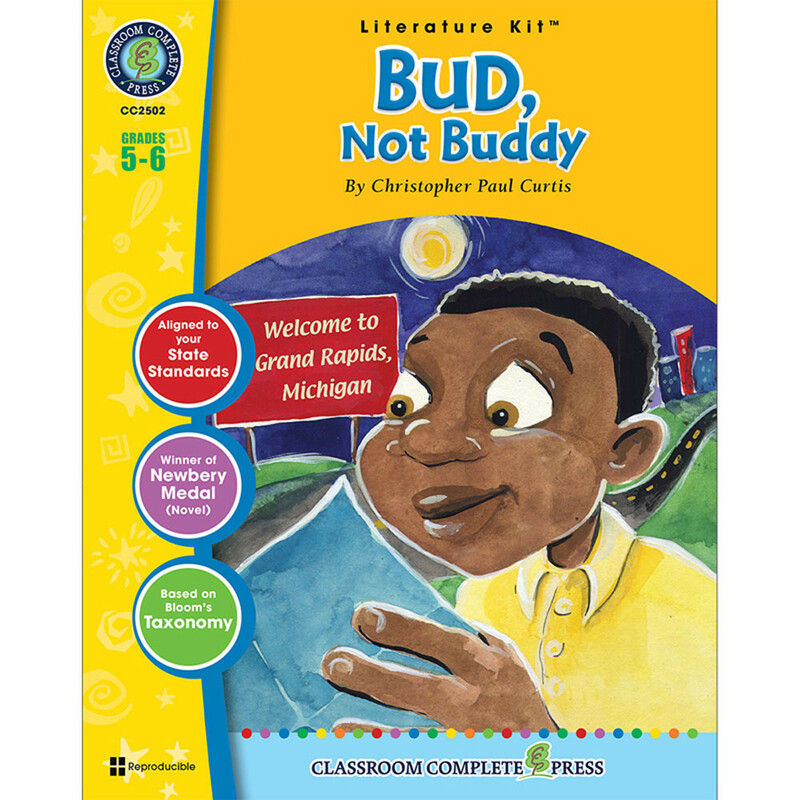 View our Literature Units or Reading/Language Arts sections to find more school supplies items similar to Bud Not Buddy Literature Kit.